Troy Dreier gained most of his knowledge of the streaming video world from his day job as the Senior Associate Editor for StreamingMedia.com, the leading news site for the online video industry. He’s interviewed many of the major players in the new online video economy, and moderated panels at his company’s Streaming Media East and West conferences. He’s also the Editor or OnlineVideo.net, a site that helps online video marketers stay on top of trends and do their work more effectively. 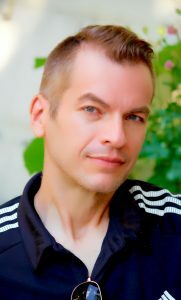 Prior to working with StreamingMedia.com, he was a full-time freelance technology writer and a staff editor for PC Magazine. Troy lives in Jersey City, NJ.